I love origami! I like to make things with my hands. Since having a stroke a few years ago I look for things to do that require coordinating both hands. It can be frustrating, but I have made several cranes. 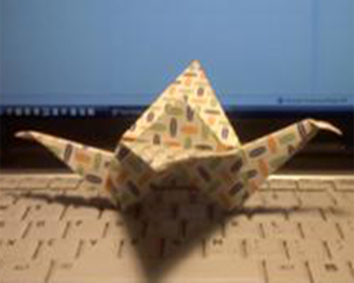 Origami is also something I can do with my grandchildren. I stick to the more simple projects like cranes and bunnies as I get easily confused with too many steps. I searched and searched for easy to follow instructions and found yours to be the best. Origami paper can be hard to find without spending a lot on shipping online. I've used scrapbook paper to make some, which is great.